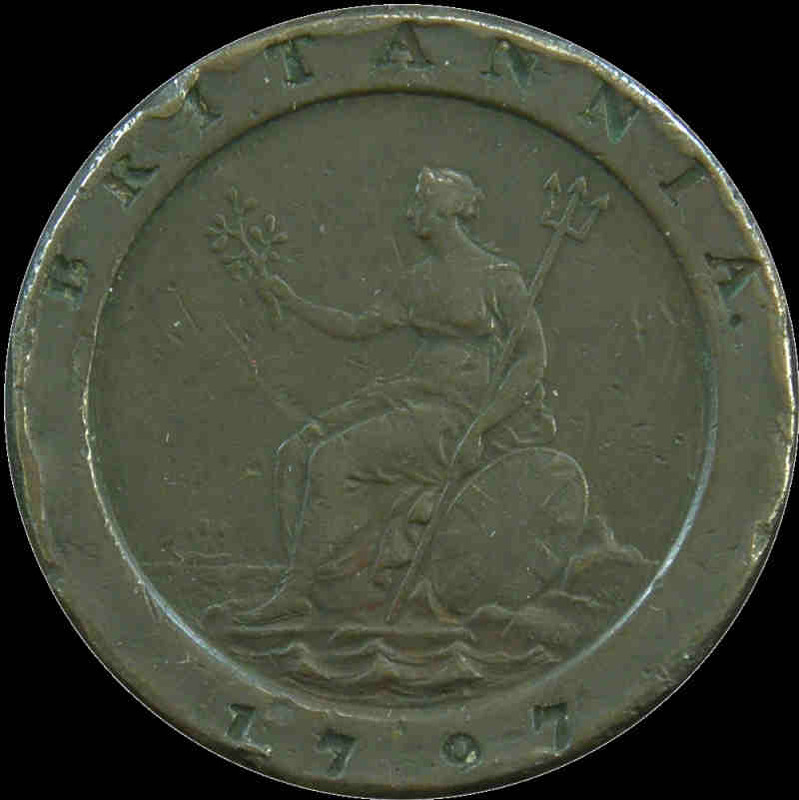 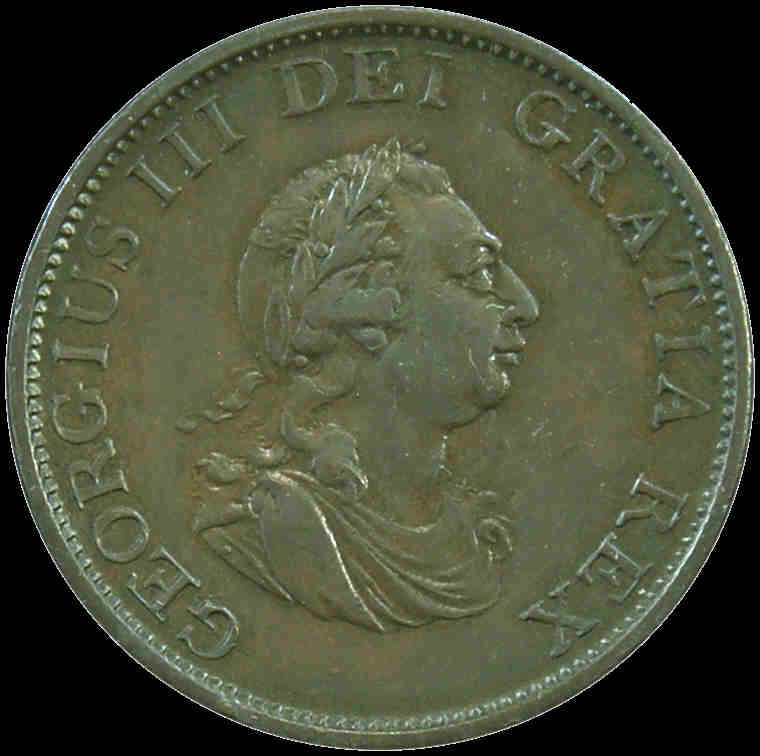 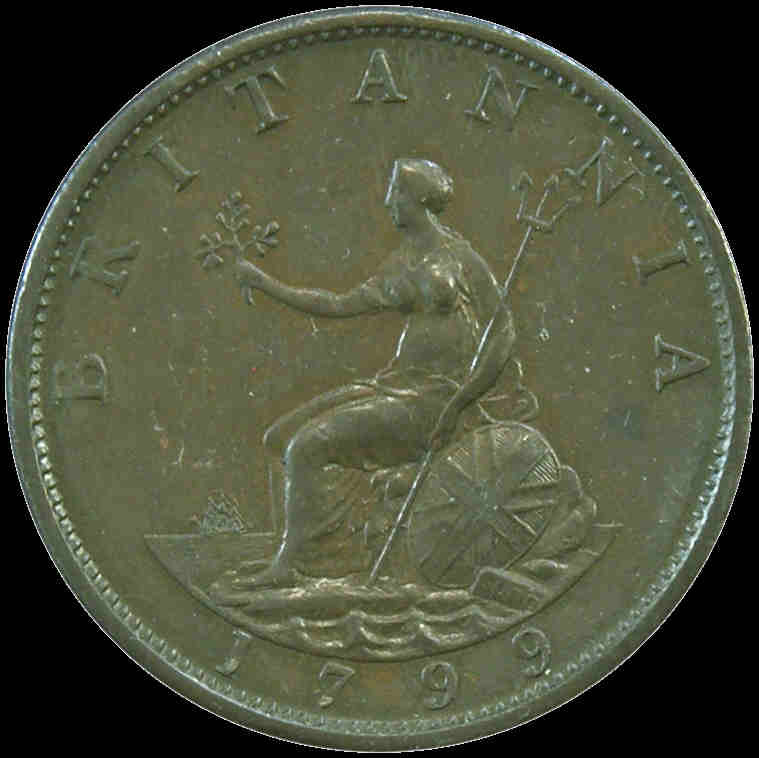 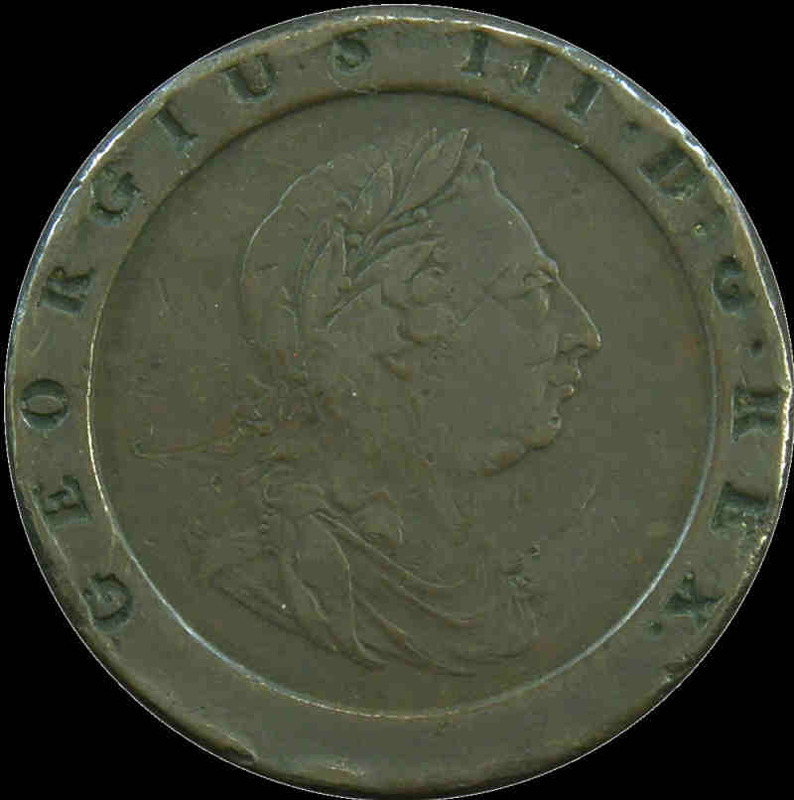 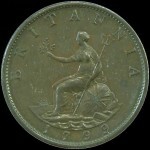 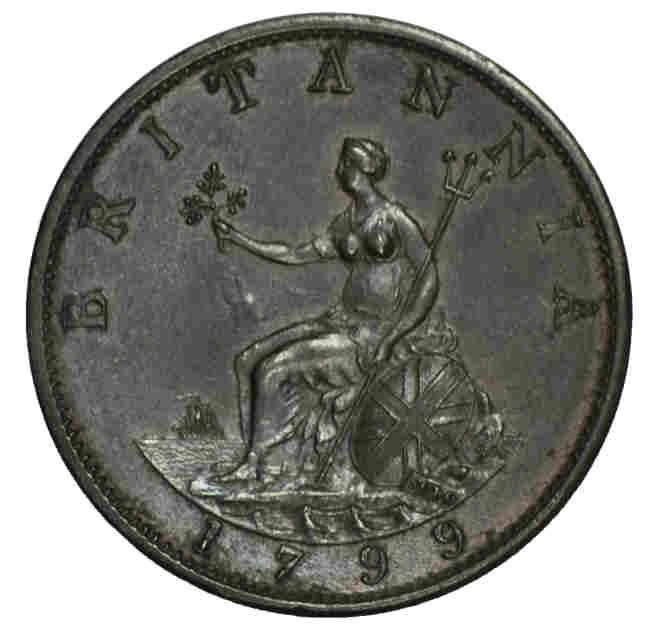 Great Britain 1799 George III Halfpenny Proclamation coin Unc. 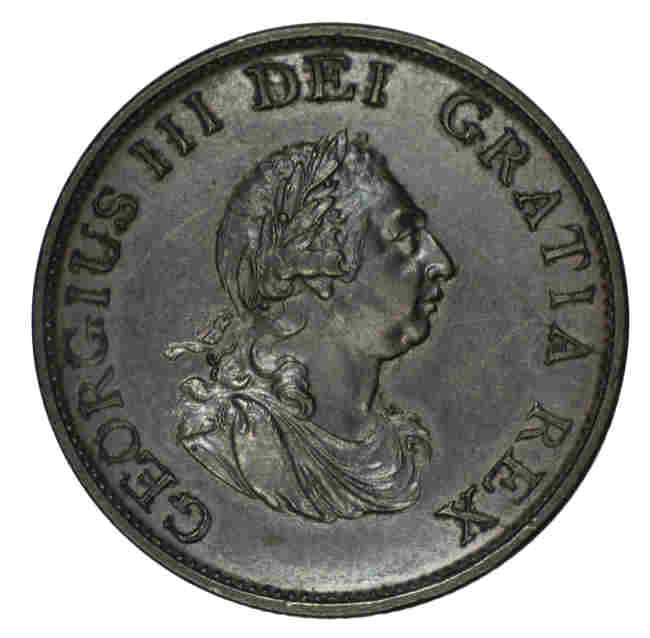 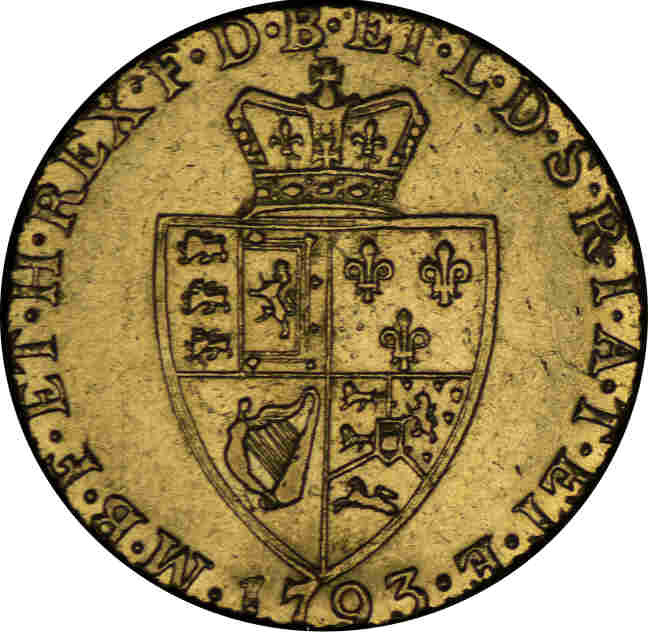 Very fine die crack on obverse. 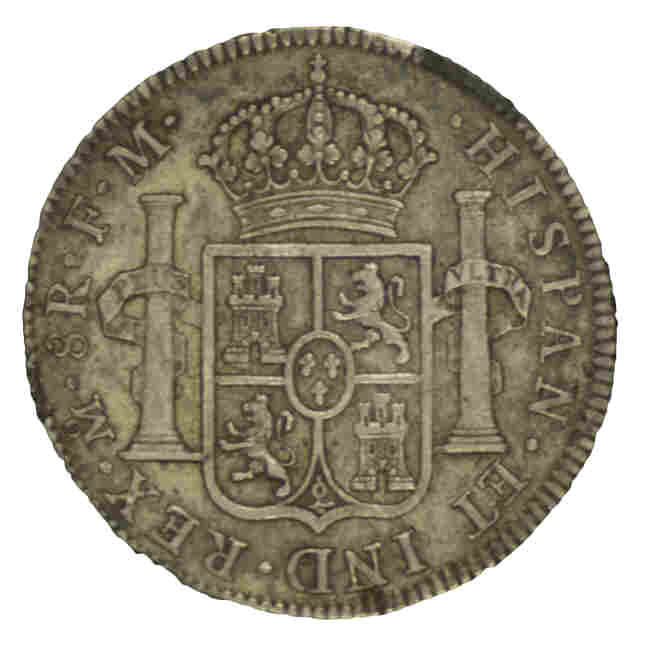 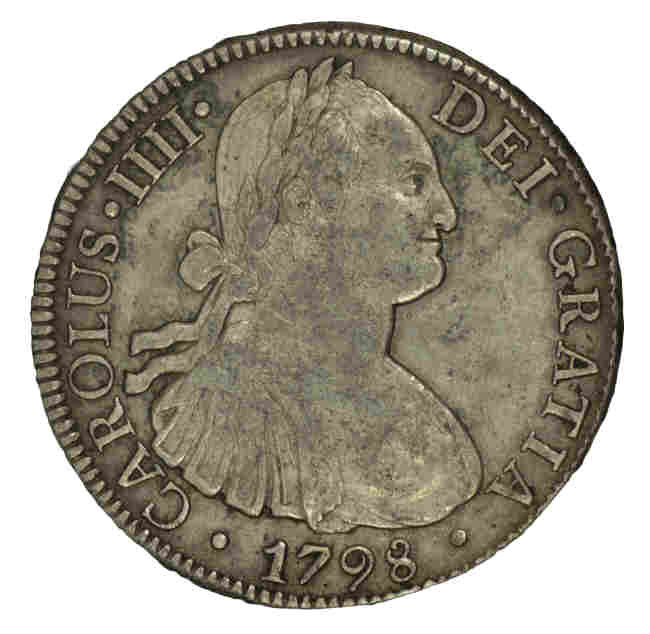 Great Britain 1797 Cartwheel Twopence Proclamation coin good F.
1798 Mexico Charles IIII eight reales silver Proclamation coin VF. 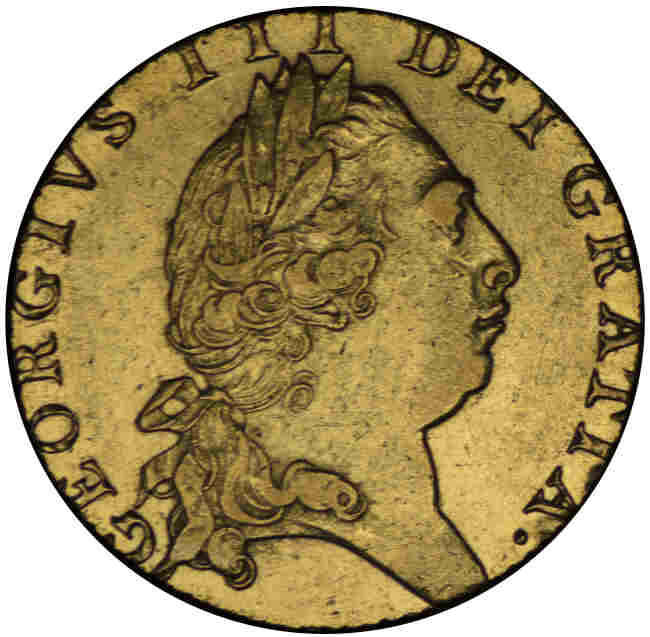 1793 Great Britain George III spade guinea Gold Proclamation coin EF.